Kansas has joined the list of states where courts have ruled against laws requiring suspected DUI drivers to take a breathalyzer or blood test without police first getting a warrant. A similar decision by a California court would undoubtedly impact many of the cases against drivers arrested for a DUI in Los Angeles. 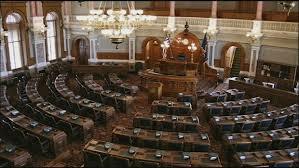 The Kansas State Legislature passed a law in 2012 making refusing to take a blood or breath test after a DUI arrest an offense separate from the DUI itself. The penalties for breaking that law were steep: a one-year license suspension plus two years of driving with an ignition interlock device. But in the ruling announced on February 26th, the Kansas Supreme Court found that law was unconstitutional. In its statement on State vs. Ryce (and three associated cases), the Kansas Supreme Court said that “Even in light of the implied consent exception of [Kansas driving laws] an individual who operates or attempts to operate a vehicle in Kansas possesses a personal and deeply rooted expectation of privacy in his or her blood, breath, urine, and other bodily substances. This expectation of privacy is protected by the Fourth Amendment of the United States Constitution and [Section] 15 of the Kansas Constitution Bill of Rights.” Requiring a breath or blood test without a warrant is therefore an unreasonable search and seizure. Courts in Hawaii, Minnesota and North Dakota have made similar decisions, requiring police to get warrants for chemical tests in DUI cases. Minnesota and North Dakota have appealed those decisions to the U.S. Supreme Court, which should rule on the issue sometime before its current session ends in late June. In the meantime, the Kansas Attorney General has asked the state court to delay enforcement of the Ryce decision until the U.S. Supreme Court makes its ruling.